After a year living in Malaysia and multiple trips a year here, I feel that I know all about buying a Malaysia tourist sim card. I have made some great choices and some not so great choices! In this article, I’ll tell you exactly what to do to get the perfect Malaysia prepaid sim card for tourist! Thankfully, getting a travel sim card Malaysia is very easy. You just need ID and some ringgit (and sometimes not even the latter if you purchase from home!). I describe the best (and easiest ways) to get a traveller sim Malaysia. Coverage is generally very good in Malaysia. We never had a problem. I always like having a Malaysia data sim card for tourist so I knew I always had maps, Google and internet access for work and email. In fact, my sim card data access was often better than hotel wifi! As mentioned above, you will always need ID when picking up or purchasing a sim card as it’s legally required. Your passport is perfect for this. I highly recommend you get a prepaid plan. These require minimal effort and are very good value. As a tourist, they are also basically your only choice. You can, of course, use your sim card from home if you have a phone carrier that allows this or from a neighbouring country. However, this is likely to be much much much more expensive than buying a Malaysia prepaid sim card for tourist 2019. It’s such an easy process to buy a prepaid sim that this is what I recommend. You can buy these as soon as you arrive in most international airports to make it extra easy or use a service on Klook to pick up your sim card on arrival which makes it even easier. Otherwise, many shopping malls and bus stations have a chance to purchase the best tourist sim card Malaysia as well. I promise that you won’t find it hard to find somewhere to get one! If you are at all particular about what service you get and exactly what it covers, I recommend purchasing from the company direct (often they will have kiosks at arrival airports anyway). Otherwise, you can buy them from wherever. If you need more data or talk, it’s also very easy to purchase top ups from many places or online. Usually, you can do this at any 7-Eleven or one of hundreds of other places. 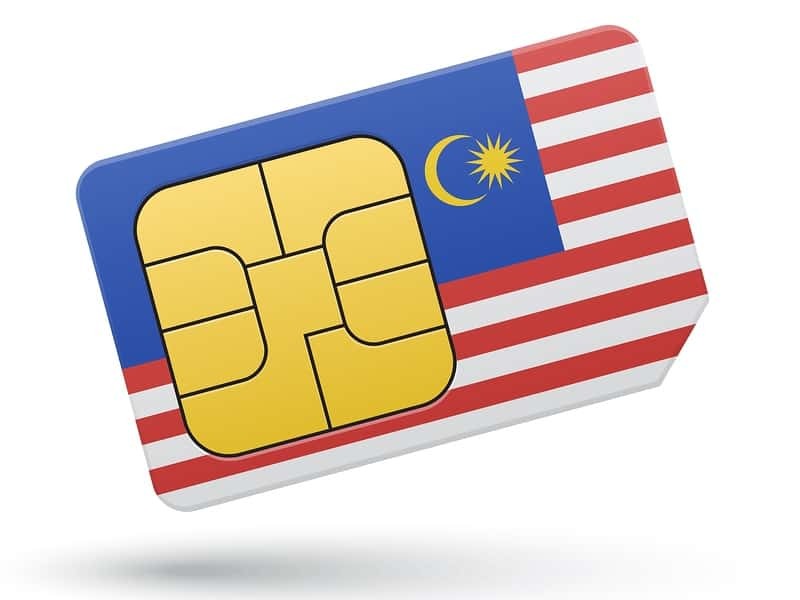 Option 1: Purchase The Best Sim Card For Tourist In Malaysia Before Leaving Home! Your first choice is to purchase your sim card online before leaving home. This has the benefits of making it very easy to pick-up your prepaid sim on arrival so you are all set to go. This is especially beneficial if you want to make sure you have a sim card to go as soon as you arrive and want things as easy as possible and works best for people who want data more than a sim card to make calls. It’s also a great price. In each airport, you are given clear instructions for how to pick up the sim and it is very easy. All of these choices of sim card in Malaysia for tourist give you the Tune Talk Traveller SIM. This is a great value sim card. You can pick from two options – either the lite or power plan. The lite plan is half the price of the power plan at publishing and lasts for half as long (7 days versus 14 days) and has half the data (5GB at high speed versus 10GB). Note that both of them come with an additional 10GB of data at lower speeds. At publishing, the price starts at MYR25. If you click on the links above, you will get the latest deals as well as photos and instructions so you can be completely clear on where to pick it up. It is very easy. It’s also very easy to buy when you get there – it just takes a bit longer. Digi is the third largest sim provider in Malaysia and our personal favourite. We are big fans of a Digi traveller sim card. They offer great plans and prices, are easy to buy and top up (starting at MYR5) and have great coverage and data speed. All sim sizes are available. 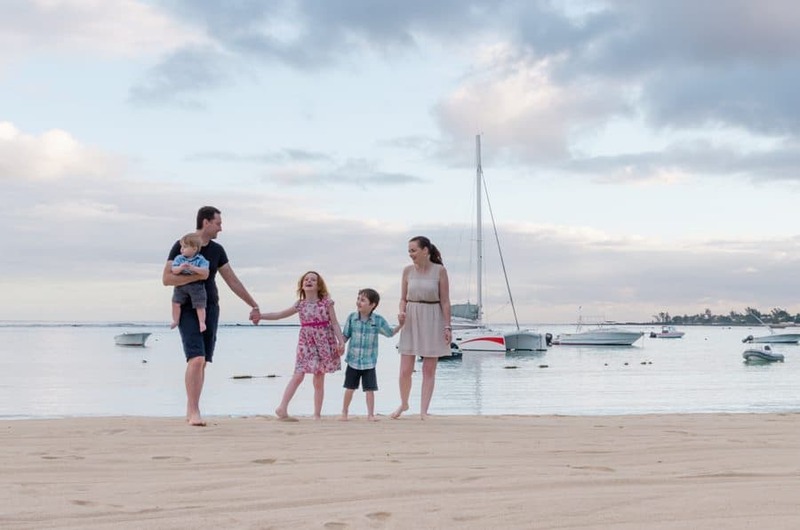 Note that they do offer multiple plans which can be confusing especially as you need to make sure you buy the right one when you first sign up or you can end up wasting money by swapping plans. So think about how long you want the sim card to work for, how much data you want and whether calls are important too. The good part is that top ups are very cheap so it will all work out if you make a mistake. 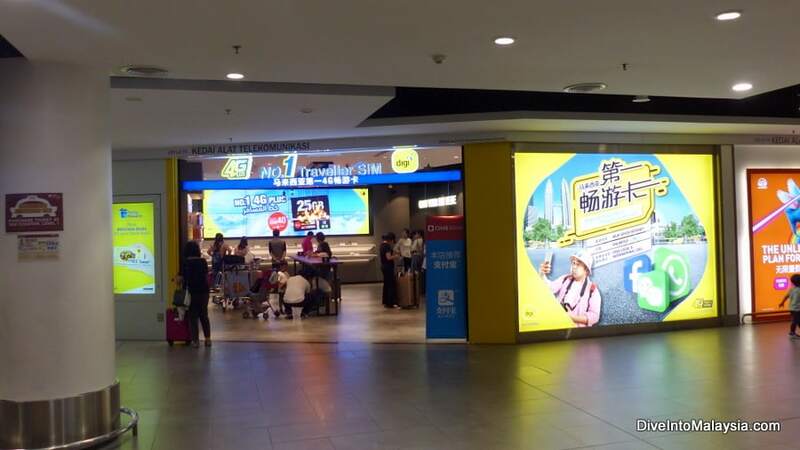 Picking up a Digi sim card for tourist is very easy on arrival in the country with kiosks in many major airports. We usually fly into KLIA2 and you can find Digi as soon as you exit customs. Just walk straight ahead on the left side of the exit. Look for a big yellow sign! At KLIA, you can find Digi, Tune Talk and some other providers just to the left as you exit customs. The following video shows you where. We hope this helps you find a Malaysia tourist data sim card. Let us know if you have any questions below!